I debated for days as to whether I should stick to the norm of these blogs and sugar coat my experience with tales of beautiful scenery, new friends and experiences (all relevant), but I think it is really important for anyone considering exchange to understand that it isn’t just easy breezy socialising and flirting about in a new country. It’s hard and it’s new, it’s foreign and its confronting. 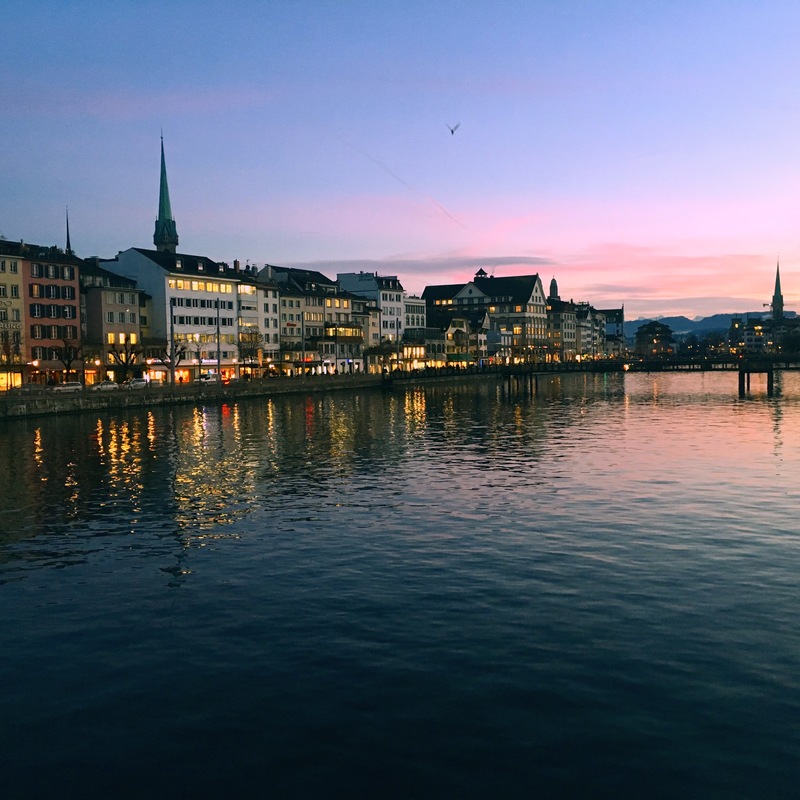 My first few days in Zurich were super tough. I left my boyfriend at the main station and I had left my family a month before. I was suddenly on my own, it was cold and I was the first person to move into my 15 bedroom apartment. I fumbled my way home on the tram and stumbled through the fog up to my empty bedroom and to be frank, I just cried. The next two weeks improved- I started my German lessons and threw myself into them. I love languages and my teacher moved really fast that I felt myself improving with each day. People began to fill up my apartment and I even found some fellow aussies. But what faced me next was finances. Switzerland is expensive, I’m sure I don’t need to tell anyone that. But my idea of expensive and what expensive is in Switzerland differ on the largest of scales. 26 francs for some takeaway Pad Thai from a dodgey corner store?! 7 francs for a starbucks latte?! Quite frankly (or Francly if you will) I was thrown into a state of complete shock. To make matters worse I hoped that I would be able to pick up job to help- nope my German was hopeless. By word of mouth I managed to work around this lack of employment issue. UZH is very science based and so run A LOT of experiments, many on humans. Don’t let that freak you out- there’s nothing Frankenstein like going on, just simple things mostly involving interviews and personality tests. For these you make up to 20 francs for an hour! With one of these experiments every fortnight or so my money-stress quickly eased. My final hurdle was subjects. As it turned out I had to completely reshuffle my study plan once classes started here which meant changing to all elective subjects and dropping down to 18 credit points. At first I was frustrated that my degree was now going to take an extra semester and that the classes I was excited for I was now unable to do. But, this meant I could now use my electives to branch out a little- I am taking French and German (as I mentioned I love languages) which I couldn’t do at home, 2 sociology classes and then a really awesome science elective. The teachers here are incredible and insanely qualified. Each class I go into I almost feel as if I am underqualified to be there, but it’s awesome to be in such an academic environment. As I’m sure you’ve gathered, for every obstacle is a reward. I am living in a city ranked 2nd in the world for quality of life and its obvious why. The water is so clean you can drink from any fountain in the city, I can see the alps from my classrooms and Einstein used to teach in the building where I have German, Einstein! I’ve watched an open surgery from inside an OR, I’m learning 2 different languages and I am flight/train/bus away from any country in Europe at any time I choose. Essentially my point is to be adaptable. You can’t be in control of everything and you have to be prepared to work around that. Exchange is such a unique experience for everyone and such a blessing I am beyond grateful for. I encourage anyone and everyone to do it, just pick somewhere and go. See what happens.